Of all the motorhome types, class B RVs are the smallest in size. Their lengths vary from 17 to 24 feet with widths less than 8 feet. This type of motorhome, also known as a van camper or campervan, is built on a cargo van base with installed basic amenities such as a fold-up bed, a dining area and a bathroom. They have a bubble-top roof or a pop-up roof section to enable walking upright while inside. Most Class B motorhomes have a wet bath i.e. combined sink/shower/toilet, to save on space. For the sleeping arrangements, the RV may include a queen size bed or convertible options like foldable sofas and convertible dinettes. This RV typically accommodates two people comfortably, but can go as high as four people. Campervans are perfect for touring and short vacations, earning themselves the moniker–travelling coach. It is a common sight to see kids being taken to soccer practice in this kind of motorhome. They also make the best RVs for stealth or urban camping given their van-like size and ease of parking and driving. Class B motorhomes shouldn’t be confused with van conversions as the latter is just a standard van whose interior has been refitted into a living space. Van conversions normally don’t have kitchens or bathrooms. Gas-powered motorhomes usually have a lower purchase price but diesel-powered ones tend to be more fuel-efficient and less costly to maintain in the long run. The size of the campervan will determine a lot of things therefore you must put it into consideration. If travelling with more people or in need of more amenities and features then a bigger campervan may be suitable. Class B motorhomes may have dropped floors and bubble-top roofs for extra headroom. The floor plan will determine usage of space, number of amenities and features to include. Therefore, a model with many floor plan options is most welcome. Some campervan brands are very popular among RVers. For instance, Winnebago, Roadtrek, Airstream and Coachmen are widely held. Regardless of brand preference, take into account the availability of dealers and repair parts. Positive reviews of the same by fellow RVers is a good pointer. While Class B motorhomes are more affordable than other types of motorhomes, a used one can also be a good option. 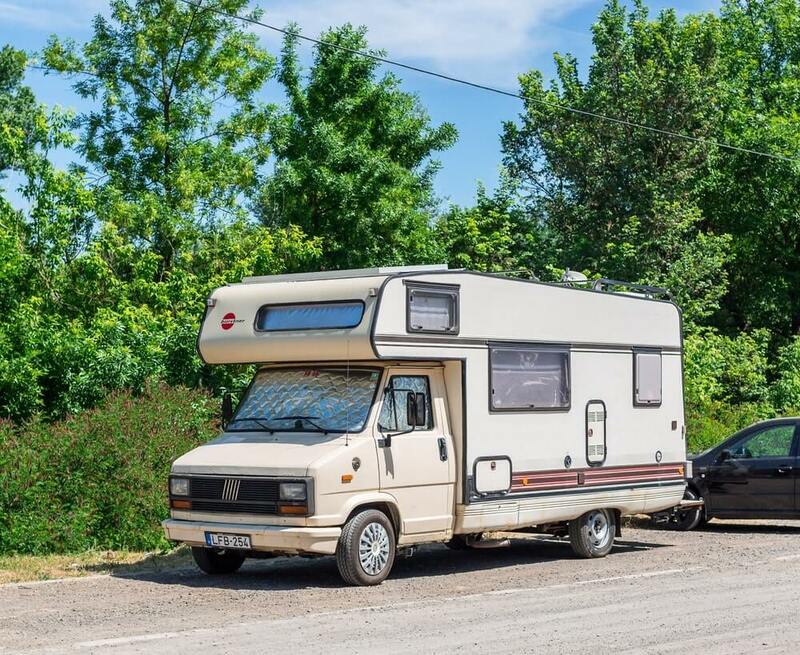 Make sure to thoroughly inspect the used RV before purchasing it. Who Are Campervans Meant For? Class B motorhomes weigh about 6000 to 8000 pounds and are the smallest of all motorhome types. They trade off space in favor of functionality and performance. Campervans are best suited to persons with a smaller budget and looking to experience the home on wheels lifestyle in a mobility-friendly manner. They are also perfect for short trips for couples or small families. Class B motorhomes are as well a good option for people looking to miniaturize their day to day lives. If you decide to get a campervan, be sure to pack light and learn as many space saving techniques as possible. However, if the economies of the Class B motorhome aren’t enough to reel you in, then a Class B+ or C motorhome may be more to your liking. Front-wheel drive. At the very minimum a campervan will have basic front wheel drive capabilities, but there are many other models that come with 4 by 4 drive performance. Fuel efficiency. You can expect camper vans to offer the best fuel economy in comparison with other motorhomes. Wet-bath. A minimalist combined toilet/shower compartment is expected in this type of motorhome due to space limitations. Kitchen space. A two-burner stovetop, dinette and galley kitchen are all that you get for meal preparation, food storage and dining in a campervan. Awning. To extend the living space, an outdoor awning is usually included. Folding sofa/murphy bed. These types of beds save on space when not in use hence suitable for a campervan. Sleeps 2-4 persons. Most automakers advertise that their campervans can sleep up to four people; however, two people are more than enough. Campervans generally favor functionality over comfortable living spaces. The RV has a compact size and mostly comes with 4 by 4 options for easy driving. Campervans allow for off-grid camping and are an easy fit in many parking spots. Safety. The campervan is built with safety in mind. In fact, it is one of the safest motorhomes yet. The vehicle comes with stability controls and is equipped with front airbags. Some campervans also have blind spotting and forward collision monitoring. Full seat belts over the shoulder and lap safety belts are also available for up to seven passengers. Convenient for daytrips. Smaller in size, compact and without a tow, a class B motorhome is suitable for making daytrips and running quick errands. Durability. Campervans have an all-metal build to ensure maximum longevity and value for money. Ease of Driving. A campervan is closer to a regular van with regards to ease of driving and maneuverability on the road. You will not require a special license with this type of motorhome. They also do well for towing a car, trailer or boat. Mostly due to the smaller sizes, campervans tend to be the most affordable of all the motorhome types. This means a low initial cost and even lower repair and maintenance costs down the road as compared to other motorhomes. Campervans also tend to have a better fuel economy than other RVs - you can get up to 25 miles per gallon from them. Campervans also attract lower tolls on applicable roads, than other types of RVs. Normal wear and tear as well as excessive water damage are some of the key factors that determine a vehicle’s resale value. 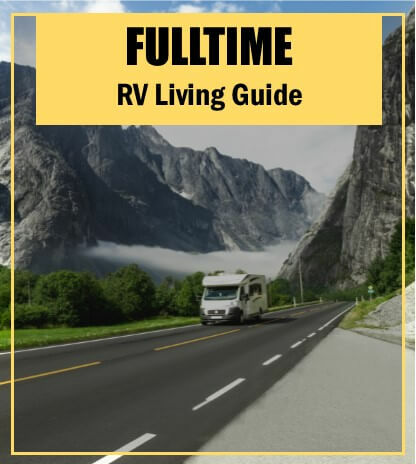 Maintaining the tidiness of the RV and doing regular servicing helps counter the aforementioned factors. Campervans have a better resale value as opposed to other motorhomes, owing to low costs of maintenance and repairs. This is also in addition to their sturdy and compact build that guarantees excellent durability. Campervans usually have limited space for living and storage. The RV will normally sleep up to two people comfortably. The interior design of this type of RVs is well thought-out to make use of the small space, thus only a few optimizations can be done on the motorhome. 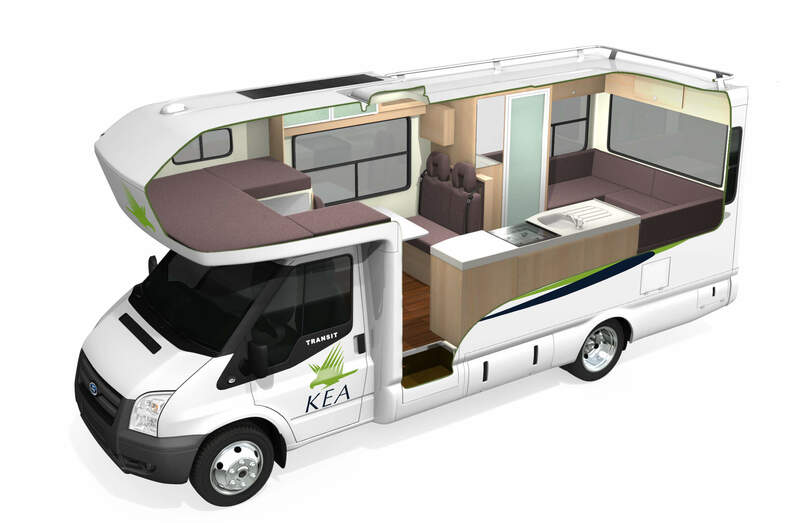 Space saving techniques like folding sofas, convertible dinettes, bed suspension when not in use and use of small-sized appliances, are heavily utilized in campervans. This heavily compromises on the overall comfort and can be a nightmare if you have children. The limited space only allows for a few basic amenities and features. This means fewer or zero luxuries, smaller appliances, smaller kitchens and bathrooms and so on. You will also have lesser floor-plan options with this type of motorhome. The water storage and holding tanks will also be significantly less in size and capacity. A minimalist cooktop, counter space and sink will make up for the kitchen space; while the bathroom may have a wet-bath design. There’s no room for features such as dishwashers, washer/dryer sets or any large appliances. The sleeping quarters are also done with ingenuity to make use of the limited space. Typically, the sitting/dining area converts into a bedroom thanks to the folding sofas and the like. For extra sleeping room, you can tow along a trailer or make use of slide-outs if present. Only a few campervan models come with slide-outs. A new Class B motorhome will often go for $40,000 to $80,000, which is very expensive for a vehicle that size. Similarly sized vans go for a relatively cheaper cost of less than $40,000. However, campervans seem to maintain their value for longer as compared to other RVs. Other costs like servicing and buying of repair parts may also be a bit on the higher side depending on the automaker. Even though Mercedes Benz campervans are so popular, their dealers can be hard to find plus service and repair parts for the same is usually costlier. Campground fees for overnight stays and hookups, plus general auto insurance costs are also part of the cost. Class B RVs are a cost-friendly introduction into the motorhomes realm. They offer all the benefits of having a van-sized vehicle, be it fuel economy or the ease of driving and parking. Campervans are perfect mini-homes on wheels for people who don’t mind the limited space.